Climbing is a fun, exciting, sociable and adventurous activity. Come down with your friends or make new friends in your sessions! Courses last for 6 weeks and are run every half term, Primary School sessions on Tuesdays, Secondary School sessions on Thursdays. The After School Clubs are an excellent way to get involved in the world of climbing. Climbing has its roots in the Lake District so what better place to start climbing. It’s a fun activity that is very rewarding. Our low ratios and qualified staff ensure rapid introduction to climbing in a controlled environment. During the clubs we run the National Indoor Climbing Award Scheme (NICAS) up to level 3. This is designed to give young people the ability to climb safely under supervision and to monitor their progression through this rewarding activity. 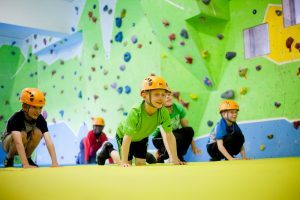 The After School Clubs can also be combined with the weekend Geckos 1 & 2 sessions for children wanting even more climbing and leads into Geckos 3 and the Young Climbers Club on Saturdays for those more experienced climbers aged 14+ progressing on towards lead climbing skills (working towards NICAS level 4). Tuesday 4.15pm – 5.15pm (8 – 11 year olds). Please arrive at 4pm, drink and a snack is provided. Parents – please collect by 5.30pm.